What if I told you there is an untouched talent pool that has incredible talent but goes mostly unutilized? This talent pool… Kid Experts. These are teaching artist, instructors, and others who have musical, artistic, and creative talents and specialize in working with children. Until now they had no way to connect with families outside of word of month. With Curated Care, the Kid Experts are pre-screened and approved before hand. Whether you need a babysitter, tutor, art activity ideas, and even to help out the nanny, Curated Care will find the perfect fit. Cofounder Marlene Veloso tells AlleyWatch about there origin story as well as where they plan to go next. Tell us about Curated Care. 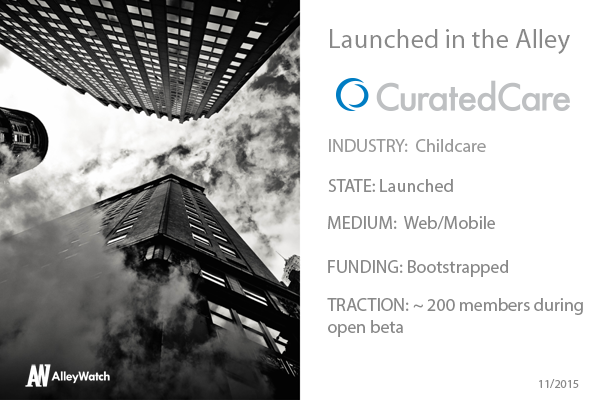 Curated Care operates an online marketplace that helps families connect with local professionals experienced at working with young children. 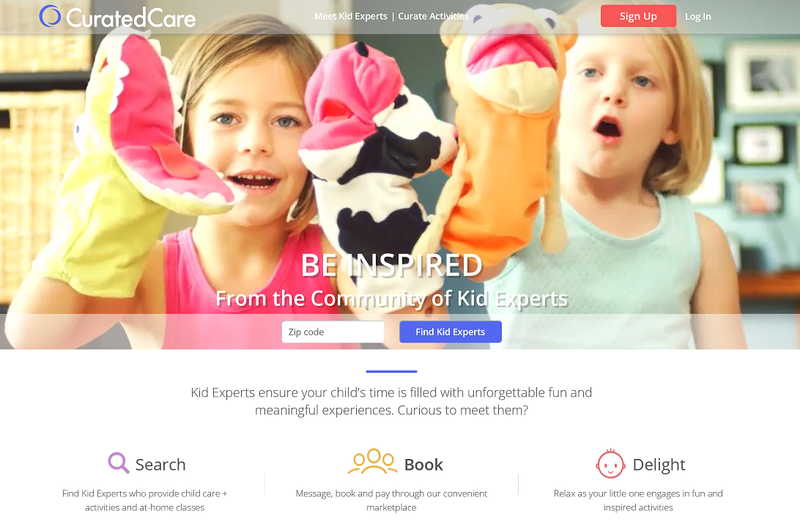 We aim to solve the problem that Families want “Kid Experts” with specialized skills around music, potty training, art, languages, cooking, and more but there wasn’t an easy way for them to connect until Curated Care. All services are at the home and on the family’s schedule. We target families who appreciate the peace of mind that a great teacher, babysitter, or artist brings and also understand the value of enriching activities for their little one(s). “Kid Experts” are at the heart of our community. They are the talented and skilled entrepreneurs who create the unique experiences that inspire. How is Curated Care different? Existing sites treat babysitting and child-centric services as a commodity; Curated Care sees Kid Experts as individuals who deliver unique experiences. We allow differentiation of both the provider and the service through unique profiles, personal titles, and innovative activities (the desirable experiences families are looking for). This enables Families to connect with an “Art Hero” to build a dinosaur collage or “The Imagination Playground” for an afternoon of indoor camping. Really cool experiences children will love. What market does Curated Care attack and how big is it? For us, it’s pretty simple. Our target market is young families. We’ve modernized the experience for millennials. Our sweet spot will be families that trend towards premium products, buy organic foods, and search out non-toxic or eco-friendly products. Any Honest Company subscriber. What is the Curated Care business model? We charge a small one-time fee to become a member. We do this to help ensure our members are invested in the community. Curated Care also makes a variable percentage on each booking. The fee averages 7-15% depending on order size. It’s important to us that families only pay when they need us. My cofounder, Erin McConaghy, was my daughter’s first teacher. At the end of the school year, I asked her for referrals to individuals who provide childcare but also do enriching activities. She said, almost every single family asks her the same question. Later that summer, we ran into each other and the topic came up again. We had our theory but decided to poll our network of teaching artists to find out why they weren’t on typical sitter sites. The answers were all around differentiation and safety. Within a month, we founded and started building Curated Care. What does Curated Care do to vet providers? Our Kid Expert community is really important to us. They are the product families buy and what really makes Curated Care special. We verify their emails, phones, require a valid credit card and bank account information, and offer them free access to one of the most thorough background checks available. We also have every Kid Expert who joins the site come in for an orientation session so we can meet and interview them personally. Or, we personally book them for a session. We’re fortunate that we are small enough to give this amazing community the attention it deserves. Honestly, we just have two milestones that the whole team is focused on 1) introduce the service to NYC by giving out 500 two-hour trial childcare + activity sessions to our registered users (we charge the families just $10) and 2) achieve a 50% rebook rate within 6 weeks of the first booking. The rest will fall into place. Actually, we got it but didn’t listen as well as we could have. Jason Shuman from Corigin Venture advised us that operations would be at our core if we wanted high quality local services. After private beta, we delayed our launch for two months to better set-up operations and are still looking for the right community engagement manager on the family side. Oisin Hanrahan or Umang Dua, the co-founders of Handy. Handy was able to standardize quality delivered by local service providers through a scalable platform. We have the same opportunity and challenges. New York has this amazing community of professional, teaching, and part-time artists. They bring a unique perspective and talent to our community. Many are also well experienced at working with toddlers and children. We really felt that our Kid Experts would define the brand and we wanted to set the service quality bar as high as possible. So New York it was. My favorite destination seems to change every year. Right now, my husband and I love to take long walks and explore the ever changing neighborhoods. We’ve been spending a lot of time exploring SoHo west and northern Tribeca. Previous Does Doing Good in Business Imply Doing Less Well?